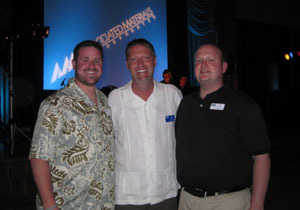 Associated Materials Incorporated, parent of several North American manufacturing and distribution operations, continues to revolutionize the exterior building products industry. With a multi-brand strategy, our products and services penetrate both the remodeling and new construction markets in the continental United States and Canada, serving the needs of contractors, builders, remodelers and architects through our company-owned wholesale stores and select independent distributor partners. Vertical integration, combined with diverse products and customers, have fueled our growth and success for decades. And with today's homeowners investing in their homes more than ever, our future will continue to prosper for years to come. 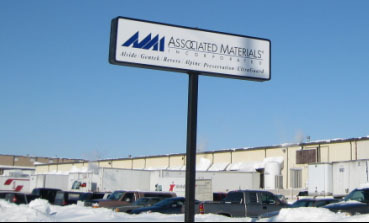 What does Associated Materials Incorporated do? In a phrase - we make and sell Excellence. That's our vision - from the plant floor to the sales contract. And since AMI is vertically integrated, we possess the distinct advantage of knowing first-hand what products and services customers need. Our business model targets professional contractors, remodelers, builders and architects, providing them the products and support needed to foster their success while educating and selling homeowners throughout the United States and Canada. Our Manufacturing Groups, with engineering and manufacturing facilities in both countries, continue to lead the industry with innovative products that set our brands apart. Company-owned distribution, through our Supply Center Organization, links us directly to professional contractors, builders and other wholesale buyers and specifiers throughout North America - a highly unique competitive advantage. Bringing it all together is a dedicated Corporate Group providing comprehensive leadership and support - from human resources and engineering, to accounting and marketing - and everything in-between. Excellence in People. Excellence in Products. Excellence in Support. Please enter the number 25642 in the box provided below.